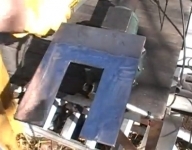 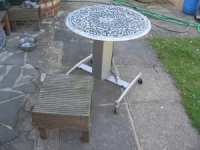 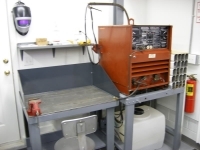 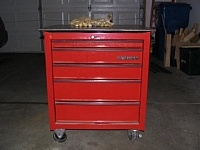 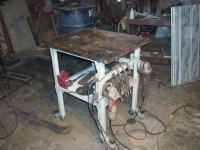 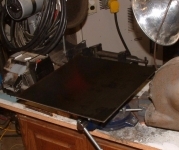 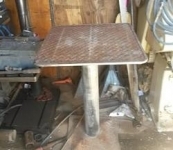 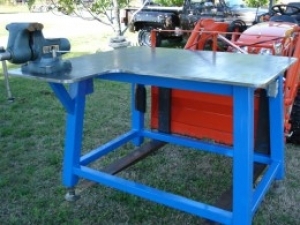 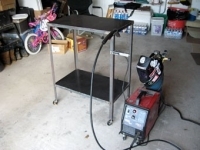 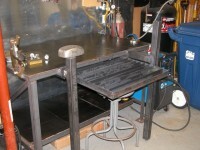 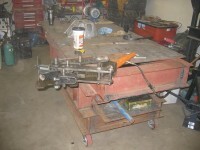 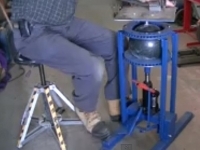 Homemade compact welding table fabricated from square tubing and incorporating a 5/8-inch plate steel top. 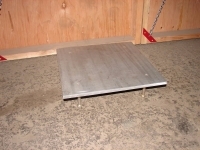 Features a kickout section for a vise, swivel-mounted leveling feet, and two integral electrical outlet boxes. 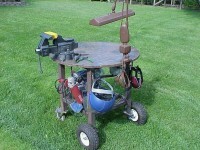 This is very smart/ I like the kickout section.